LEZARD Gain New Vocalist and Reveal Details for "TOKAGE!! RISING"
After a period of no releases, LEZARD announced back in December that they'd be releasing a new single with a new vocalist. 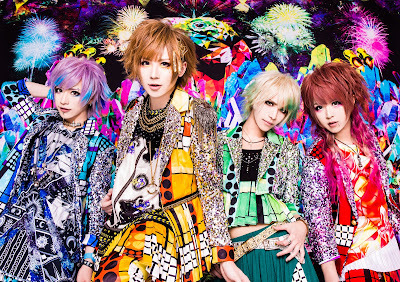 Today, details of both the release and their new member have been revealed. 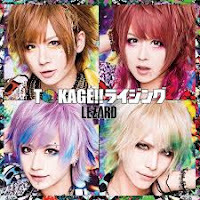 It's been about eight months since LEZARD lost their original vocalist, Lime, who departed due to differences in direction. With no clear direction of how the band would choose to proceed, the band remained quiet up until the end of 2016, when they announced that they'd release their new single "TOKAGE!! RISING!" on April 12th. The vocalist has been revealed to be Sora (ex-ALIVE), who will be joining them on their 4th anniversary oneman live on April 13th. And with the release of a MV spot, it appears that the band intends to stay on the same stylistic direction that they had been on previously. Details for the "TOKAGE!! RISING" are that it will be released in three types. The limited edition will include CD+DVD with two songs and a PV for the lead track. Wake up and Revolution Editions will each include a CD with three songs, the third track different.